The music from Carmen is recognizable even to people who are more familiar with Alan Jackson or AC/DC than arias, but when Georges Bizet composed Carmen, it was no sure bet it would ever make it to the stage. The reason for this rested solely with the opera’s plot, which is based on the novel of the same name by Prosper Mérimée. In a nutshell, engaged army corporal Don José is seduced by the sultry Carmen, and gets tossed in the pokey for helping her evade arrest, smuggling and desertion. By then Carmen is so over Don José, and takes up with a studly bullfighter named Escamillo. When Don José gets out of the slammer and gets wind of this, he freaks out and fatally stabs Carmen. This was enough to have the head of the Opéra-Comique, where Carmen was set to premiere, reaching for smelling salts. He tried to strong-arm Bizet into making substantial rewrites which Bizet refused to do. Finding a performer willing to take on the role of Carmen was also a daunting task; every single person approached said “Thanks, but no thanks,” until Galli-Marié became the first mezzo-soprano to play one of opera’s most coveted roles. As the nervous theater owner feared, critics and audiences just didn’t get Carmen. Along with its salacious theme, Bizet also attempted to accentuate his characters’ lower class roots by incorporating the feel of peasant music throughout the opera, a concept that flew right over the bejeweled heads of the Paris elite. The combination of the two proved to be too much for their delicate sensibilities. After its premiere on March 3, 1875, Carmen was performed only 35 additional times at the Opéra-Comique, often to a half-filled house, despite the fact that tickets were being given away for free. However, Bizet could console himself with the fact that, among his fellow artists, his standing as a truly talented composer was a given. On the day Carmen debuted, March 3, 1875, he was named a Chevalier de la Légion d’Honneur. Tchaikovsky, among the greatest composers of all time, attended one of the first performances of Carmen and pronounced that “Carmen is a masterpiece.” Richard Wagner and Johannes Brahms also joined the Carmen fan club that year. Like many great artists, Bizet never lived to see the immense popularity his work would go on to achieve, as he died quite suddenly of a heart attack three months after Carmen premiered. 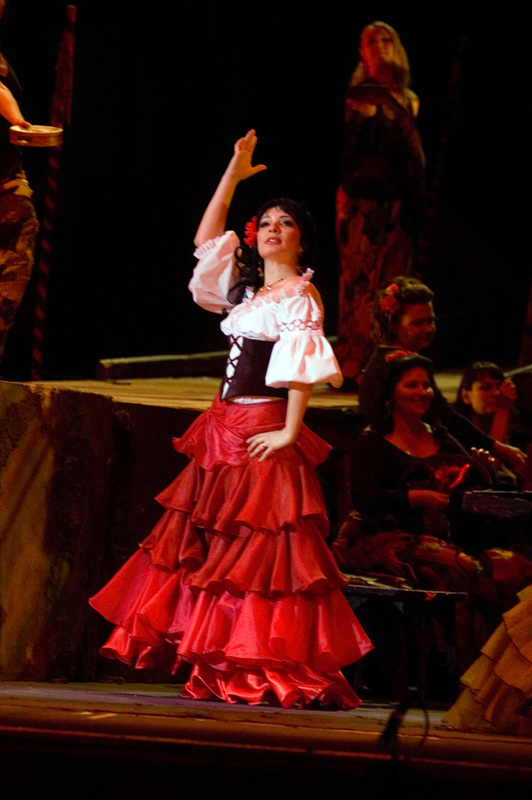 The opera enjoyed a huge revival in 1883, has grown more popular ever since, and as we move further into the 21st century, Carmen is the world’s third most performed opera. It is thought that, in various productions, the character of Carmen has been seducing Don José onstage continuously for the past 75 years.